One day Benson, Can and Cat wanted to go to Splashdown. Benson said that he will bounce three times before he goes off the diving board. He made a BIG splash! All of the water came out. They cannot swim anymore. 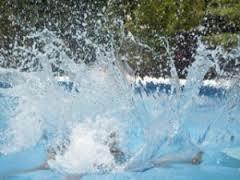 I liked how you called your story the big splash!!!!!! I like when Benson made a big splash. I like that you called your story the big splash!!!!!!! !